I have been studying how reproductive experience affects the hippocampus since 2000 (funded in party by CIHR and Alzheimer Society of Canada) and how different estrogens impact the hippocampus since 2003. Shortly after weaning, primiparous rats have dendritic atrophy in the CA3 and CA1 regions of the hippocampus Pawluski & Galea, 2006 compared to nulliparous and multiparous rats. The effect of primiparity was not limited to hippocampal morphology as we found that primiparous rats had fewer working and reference memory errors compared to nulliparous rats Pawluski et al., 2006a. Biparous rats showed a slight improvement on working memory after weaning. This may seem paradoxical that at a time with significant dendritic ‘pruning’ in the hippocampus primiparous rats have better spatial performance but the same relationship is seen in chronic stressed female ratsGalea et al., 1997 Bowman et al., 1994. We determined that the primiparity effects to enhance working memory was due to both pregnancy and mothering as neither pregnancy alone or ‘foster’ mothers showed the same enhancement of memoryPawluski et al., 2006b. Furthermore across the postpartum primparity was associated with decreased cell proliferation and neurogenesis, due to pregnancy alonePawluski& Galea, 2007. Curiously biparity was associated with enhanced cell survival. The reduced neurogenesis with primparity is still evident 3 weeks after parturitionWorkman et al., re-submitted. Part of this proposal is based on the exciting discovery that middle-aged multiparous rats exhibit an increase in cell proliferation with estradiol and estrone at multiple doses but there are no effects of estrogens on cell proliferation in nulliparous rats Barha & Galea, 2011. Pilot data suggests that Premarin, the estrone-based therapy, enhanced learning and neurogenesis in nulliparous middle-aged but reduced learning and neurogenesis in primiparous middle-aged ratsRoes et al abst. I have also been studying how estrogens influence cognition and neuroplasticity in the hippocampus in adult female rodents. Estradiol dose-dependently facilitates cognitionBarha et al 2010;Holmes et al 2002 and neurogenesis (via cell proliferationOrmerod &Galea,2001, Barha et al., 2009 while estrone dose dependently impairs cognitionBarha et al.2010 and reduces neurogenesis (via cell survival)McClure et al.,2013. 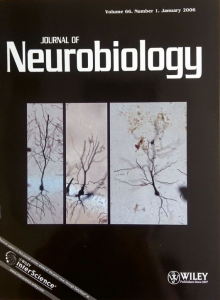 We also found that Premarin impaired working and reference memory but increased neurogenesis and reduced activation of new neurons in nulliparous young adult ratsBarha &Galea,2013. Translational work, with Dr Sherri Hayden, examined the effects parity on MMSE in women with dementia, MCI and no cognitive impairment (Galea & Hayden, in prep).We found that parity was associated with better MMSE scores in women with dementia but not with MCI or in normal controls.